THE LOGIN ABOVE IS NOT FOR ONLINE BIDDING. THE LOGIN ABOVE IS FOR DEALERS ONLY. Note: GSA reserves the right to change these sale terms and conditions. Bidders are cautioned to periodically review these terms and conditions for possible changes. GENERAL SALE TERMS AND CONDITIONS: Subject to the changes noted herein, the General Sale Terms and Conditions (Standard Form 114C (Rev. 04 / 2001)), which are incorporated by reference, apply to all sales of GSA Fleet vehicles. This standard form is available upon request. VEHICLE INSPECTION: This clause of the standard form 114C is replaced with the following. The Government provides an inspection period for prospective bidders to determine the true condition and to bid accordingly. 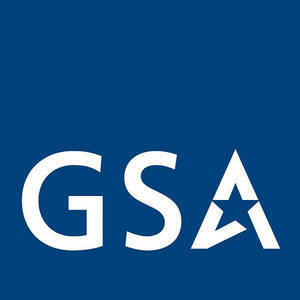 Inspection times are posted on autoauctions.gsa.gov. Failure to inspect a vehicle will not be considered a basis for cancellation of the contract. CONDITION AND LOCATION OF PROPERTY: This clause of the Standard Form 114C is replaced with a LIMITED DESCRIPTION WARRANTY. The Government warrants to the original purchaser that the property listed in the Invitation for Bids will conform to its description. Condition of property is not guaranteed; these are used vehicles. Deficiencies, when known, have been noted in the item description; however the absence of any indicated deficiencies does not mean there are none. If a mis-description is determined before removal of the property, the Government will keep the property and refund any money paid. If a mis-description is determined after removal, the Government will refund any money paid if the purchaser takes the property at his or her expense to a location specified by the contracting officer. No refund will be made unless the purchaser submits a written notice, claiming a mis-description, to the contracting officer within 15 calendar days of the date of specified for removal and maintains the property in the same condition as when removed. Bidders may be required to submit an independent estimate of repairs from a reputable repair facility as part of their written notice to the contracting officer. This warranty is in place of all other guarantees and warranties express or implied. The Government does not warrant the merchantability of the property or its fitness for any use or purpose. The amount of recovery under this provision is limited to the purchase price of the mis-described property. The purchaser is not entitled to any payment for loss of profit or any other money damages, special, direct, indirect, or consequential. Any refund of payment, full or in part, as a result of a vehicle claim, will be made by electronic funds transfer (EFT) or a credit back to the credit card, if paid with such, on which payment was originally made. CONSIDERATION OF BIDS: This clause of the SF 114C is unchanged. FORMS OF BID DEPOSITS AND PAYMENTS: This clause of the SF 114C is unchanged. BID PRICE DETERMINATION: This clause of the SF 114C is unchanged. Cash (in U.S. currency) - If a cash payment is in excess of $10,000, it must be filed with the Federal Crimes Enforcement Network in accordance with 31 USC §5331 and 23 USC §6050i. Credit card - MasterCard, VISA, American Express, Discover credit cards may be accepted. Credit cards must be backed by a United States financial institution. Acceptance of credit cards is subject to verification and approval by the issuing bank. Debit cards - Must be backed by a United State financial institution. Checks – Must be made payable to the auction facility and must be backed by a United States financial institution. The buyer must obtain approval from the auction facility to pay by check prior to bidding. Personal or company checks will only be accepted when accompanied by a bank letter guaranteeing payment. This letter must state that the bank will guarantee the check for a specific amount for a minimum of 30 days after the specific sale date at which it is intended to be used, and that it covers the purchase of U.S. Government property only. The letter must be signed by the bank official affirming the guarantee. Postal or commercial money order – Must be made payable to the auction facility. Purchase Orders – Buyers participating in the State Agency for Surplus Property program may present a purchase order to obligate funds for vehicle purchases. The obligation of funds via a purchase order must be pre-approved by the SCO. Payment must be received by GSA within 30 days of the vehicle sale. While multiple forms of payment will be accepted for a purchased vehicle, no more than two credit cards may be used to render payment for any one vehicle. In the event the bidder is purchasing for another individual or company and uses a credit card not imprinted with the bidder's name, a power of attorney permitting the use of the credit account will be required. Power of attorney is not required if the purchaser is a licensed dealer and registered as such. Full payment must be made by 5:00 PM close of business the day of the sale. A specific time will be provided for each location. TITLE: This clause of the Standard Form 114C is replaced with the following. A Standard Form 97 (The United States Government Certificate to Obtain Title to a Vehicle) and a purchaser’s receipt will be issued to the buyer of each motor vehicle sold. The SF-97 is not a motor vehicle registration. It is evidence of title only and is to be used by the purchaser to obtain a proper state motor vehicle registration. The SF-97 in no way serves as a waiver for payment of registration fees, nor country or State taxes assessed to the vehicle, subsequent to its purchase. The SF-97 is accepted in all 50 states and U.S. territories. The Government makes no claims as to the acceptance of this standard form outside of these areas. The SF-97 can only be made out to the individual purchasing the vehicle. There are times when buyers require/request a duplicate copy of the SF-97. Any request for a duplicate SF-97 must be made in writing to the Contracting Officer of record. Please be advised there may be a fee associated with this request. DELIVERY, LOADING, AND REMOVAL OF PROPERTY: This clause of the standard form 114C is replaced with the following. The government does not provide nor arrange for the transportation of vehicles purchased at auction. The display of a valid Driver's License or other accepted form of identification will be required to remove property from the sale premises. This is to prevent attempts to commit fraudulent purchases. A copy of the driver’s license will be maintained for up to 90 days and will then be destroyed. For vehicles purchased from an auction location, a valid gate pass issued by the auction is required. For vehicles purchased online via concurrent live broadcast or internet auction, the credit card used to make payment must be displayed at time of removal. If said credit card is not available at the time of removal a notarized letter from the credit card holder must be provided in order to remove the property. The notarized letter must include, at a minimum, the purchaser’s name, the purchaser’s address, the name of the individual or transport company authorized to remove the property, a copy of the purchaser’s driver’s license, and a copy of the credit card used to make the purchase. The removal of property may be delayed until the identity of the removing agent can be verified with the buyer. The individual removing the property must also provide a valid driver’s license. Property must be removed by close of business the day of the sale. Buyers may make arrangements with the auction house to store vehicles at the auction facility for additional time, but this agreement is between the buyer and the auction house and the buyer assumes all risk of damages and costs associated with storage. Access to some federal facilities is now impacted by the Real ID Act. If using a driver's license or state issued identification card as identification, it will need to comply with the requirements of the Real ID act at those locations. Refer to www.dhs.gov/real-id-public-faqs for more information on the REAL ID Act. Individuals without licenses from compliant jurisdictions may present alternative forms of identification - such as a U.S. Passport - accepted by the agency. Some agencies may have additional processes to accommodate individuals lacking the prescribed identification documents. DEFAULT: This clause of the Standard Form 114C is replaced with the following. You are cautioned to bid only on those items you are prepared to pay for and remove in accordance with the terms and conditions of the sale. All items awarded to you as the high bidder are contractually yours and must be paid for and removed within the time period specified under the special terms and conditions for each sale. Failure to do so could result in termination for the contract and the bidder may also be subject to paying liquidated damages. It is the responsibility of the bidder to be cognizant of which vehicle they are bidding on. Bidding on the incorrect vehicle does not constitute grounds to be released from the award of that vehicle. In the event the purchaser fails to perform contractual obligations (payment and removal) as specified in this document, the following action applies: Purchaser will automatically be placed in default. These terms and conditions are your official notice of default. If the terms and conditions outlined in this document are not met a buyer will immediately be put into default. Upon being put in default the purchaser shall lose all right, title, and interest which he/she might otherwise have acquired in and to such property as to which a default has occurred. SETOFF OF REFUNDS: This clause of the SF 114C is unchanged. INTEREST: This clause of the SF 114C is unchanged. ADJUSTMENT FOR VARIATION IN QUANTITY OR WEIGHT: This clause of the SF 114C is unchanged. WEIGHING, SWITCHING, AND SPOTTING: This clause of the SF 114C is unchanged. RISK OF LOSS: This clause of the SF 114C is unchanged. LIMITATION ON GOVERNMENT LIABILITY: This clause of the SF 114C is unchanged. ORAL STATEMENTS AND MODIFICATIONS: This clause of the standard form 114C is unchanged. COVENANT AGAINST CONTINGENT FEES: This clause of the SF 114C is unchanged. OFFICIALS NOT TO BENEFIT: This clause of the SF 114C is unchanged. CERTIFICATE OF INDEPENDENT PRICE DETERMINATION: This clause of the SF 114C is unchanged. ASSIGNMENTS OF CONTRACTS: This clause of the SF 114C is unchanged. CLAIMS LIABILITY: WITHDRAWAL OF PROPERTY AFTER AWARD: This clause of the standard form 114C is unchanged. ELIGIBILITY OF BIDDERS: This clause of the Standard Form 114C is amended with the following additions. Contractors and subcontractors (including members of their immediate household) that are involved with the administration of this sale are also prohibited from purchasing, either directly or indirectly, any government property being sold. Further, the bidder warrants, by accepting these sale terms and conditions and submitting a bid, that he/she is not delinquent in paying for previous purchases of Federal personal property and any related charges. Indebted bidders will be ineligible for contract awards. Bidders will not be able to bid on items offered until all debts have been cleared. This sale is open to the public. Bidders must attend the sale either in person or via concurrent live broadcast in order to bid. Bidders must be registered for the GSA sale and sign to agree to the terms and conditions of the sale in order to bid. REQUIREMENTS TO COMPLY WITH APPLICABLE LAWS AND REGULATIONS: This clause of the standard form 114C is amended with the following additions. The buyer of property from the U.S. Government purchased through a contracted Auction House may be subject to state and/or local use tax. The U.S. Government is not responsible for collection of state and/or local use taxes. Sales and/or use tax officials are permitted to examine records of Federal personal property sales to determine tax liability. Sales tax, where applicable, will be collected by the auction house, or the Department of Motor Vehicles when/where the vehicle is being registered. It is the purchaser’s responsibility to determine applicability. DEFINITIONS: This clause of the Standard Form 114C is amended to also include the following. PRIVACY ACT NOTICE: The Privacy Act Notice contained in the standard form 114C is unchanged. SPECIAL SEALED BID CONDITIONS: These terms and conditions do not apply to the sale of GSA Fleet vehicles. SPECIAL SEALED BID – TERM CONDITIONS: These terms and conditions do not apply to the sale of GSA Fleet vehicles. SPOT BID CONDITIONS: These terms and conditions do not apply to the sale of GSA Fleet vehicles. ADDITIONAL AUCTION TERMS and CONDITIONS: The special auction terms and conditions included in the standard form 114C apply to all GSA Fleet vehicle sales. The following additional terms and conditions also apply. SOCIAL SECURITY NUMBER OR TAX IDENTIFICATION NUMBER: In accordance with Public Law No.104-134, Section 31001, the Debt Collection Improvement Act of 1996: a Social Security Number (SSN) or company Tax Identification Number (TIN) must be provided by anyone conducting business with the Federal Government, from which a debt to the Government may arise. Bids will not be considered for award from anyone not providing this information. Non-U.S. citizens must provide passport or VISA information in lieu of a SSN or TIN. (Note: absence of a SSN or TIN may result in the rejection of any claim(s)) Individuals purchasing a vehicle for another person or company must furnish the information stated above and have a letter showing Power of Attorney from that person or company authorizing the buyer to purchase Federal Surplus Property on their behalf. Power of attorney is not required if the purchaser is a licensed dealer and registered as such, although the requirement to provide a TIN remains. HIGH BIDDERS: High bidders will be required to acknowledge and sign bid cards/block tickets immediately after an item is declared sold. If this requirement is not accomplished, the item may be re-offered. THE GOVERNMENT HAS THE RIGHT TO REJECT ANY BID. DISPUTES/CLAIMS: Any contract resulting from this offering is subject to the Contract Disputes Act of 1978, (41 U.S.C. 7101-7109) Public Law 95-563 as amended to include the Administrative Dispute Resolution Act (enacted Nov. 15, 1990 (Pub. L. 101-552)). The current Disputes clause is hereby incorporated by reference. Except as provided in the Act, all disputes arising under or relating to the sale shall be resolved under this clause. As used herein, "claim" means a written demand or assertion by one or more parties seeking, as a legal right, the payment of money, adjustment or interpretation of contract terms, or other relief arising under or relating to the contract. A claim must be reduced to writing and submitted to the assigned Sales Contracting Officer for decision. A claim by the purchases against the Government shall be subject to a decision by the Sales Contracting Officer. Copies of the clause are available upon request from the GSA Sales Office conducting this sale. REVOCATION OF AWARD: The bidder (offeror) warrants that he is not delinquent in the payment of any debt due the United States Government resulting from prior purchase of surplus personal property. In the event the Government determines after award that the bidder has breached warranty, the Government shall have the right to annul the contract without liability. EXCHANGE SALE: This property is being offered in accordance with the exchange/sale provisions of Section 201(a) of the Federal Property and Administrative Services Act of 1949 Stat. 384 as amended (40 U.S.C. 503). SALVAGE VEHICLES: A branded SF-97, Certificate to Obtain Title to a Vehicle, will be issued for vehicles sold as salvage or scrap. This brand may indicate that the vehicle is sold as "salvage," "salvage - Not to be titled for highway use," or that the vehicle is sold as "salvage - parts only". Subsequent SF-97s will not be issued regardless of repairs made. AIR POLLUTION CONTROL DEVICES: The buyer of any vehicle from the U.S. Government is responsible for having air pollution control devices inspected and or installed and obtaining a certificate of compliance from the appropriate state registration official. Accordingly the Auction House (in accordance with applicable state laws) may have the vehicle inspected prior to obtaining title and collect the fee associated with the certificate of compliance at the time of payment. ALTERNATIVE FUEL VEHICLES: These vehicles may have special requirements. Please refer to the owner's manual for specific information or consult with the appropriate manufacturer or dealer. CONCURRENT LIVE BROADCAST BIDDING SYSTEMS: Concurrent live broadcast bidding may be offered as a courtesy. GSA nor the Auction Contractor guarantee functionality, compatibility, or availability of concurrent live broadcast bidding systems. Registration with the Auction Contractor prior to sale is required. The requirements and process for registration for concurrent live broadcast bidding may vary by auction location. Bidders are cautioned to test system operability prior to bidding. Full payment must be made by close of business the day of the sale. L1. Online buyers with smart phones you are strongly discouraged from using a smart phone to bid. Please use a PC instead. Remember any and all bids placed are your responsibility. A Standard Form (SF) 97-1 (The United States Government Certificate to Obtain Title to a Vehicle) and a Purchaser's Receipt will be issued to the buyer of each motor vehicle sold. For property other than vehicles only a Purchaser's Receipt will be issued. The SF97-1 is not a motor vehicle registration. It is evidence of a vehicle’s ability to obtain title only and is to be used by the purchaser to obtain a proper state motor vehicle registration. a. GENERAL: Government property in this sale will be offered to the public via Internet auction. Mailed, telegraphic, or telephonic bids will not be accepted. To participate in the sale all bidders must comply with the GSA General Sale Terms and Conditions, and the GSA Special Terms and Conditions applicable to this sale. c. REGISTRATION: ALL BIDDERS MUST BE PROPERLY REGISTERED IN ORDER TO BID. Bidders must register to bid according to the requirements of the Internet auction. d. BIDDERS INDEBTED TO THE GOVERNMENT: The bidder warrants, by accepting the sale terms and conditions and submitting a bid, that he or she is not delinquent in paying for previous purchases of Federal personal property, including any debt administratively found due. Indebted bidders will be ineligible for contract awards until all prior debt is repaid. Debt repayment may be made at time of award. e. REVOCATION OF AWARD: "The bidder (offeror) warrants that he/she is not delinquent in the payment of any debt due the United States resulting from a prior purchase of surplus personal property. In the event the Government determines after award that the bidder has breached this warranty, the Government shall have the right to annul the contract without liability." f. FORMS OF PAYMENT: Condition No. 4 of SF-114C is deleted and the following applies: Payment is required as prescribed in the special terms and conditions available for each sale. Cash payments shall be in U.S. currency. Other acceptable forms of payment may include credit/debit cards, cashier's check, credit union cashier's check issued by a Federal or State chartered credit union, traveler's check, postal or commercial money order, and properly endorsed Federal, State, or local government checks. Personal or company checks may be accepted as payment. It is necessary to verify their acceptance with the auction location prior to bidding. A personal or company check will only be accepted when accompanied by a bank letter guaranteeing payment. This letter must state that the bank will guarantee the check for a specific amount for a period of 30 days after the sale date, and that it covers the purchase of U.S. Government property only. Checks and forms of payment other than cash must be made payable to the auction facility. g. REMOVAL OF PROPERTY: All property must be removed, or removal arrangements made with the vehicle custodian, at time of payment. Should the successful buyer elect to have property removed by someone other than him/herself, a notarized document must be provided to the auction facility identifying the individual authorized to remove that item. Failure to remove property within fifteen (15) calendar days after purchase may constitute a default of your bid. h. DESCRIPTION WARRANTY: Condition No. 2 of SF-114C is deleted and the following applies: The Government warrants to the original purchaser that the property listed in the invitation for bids will conform to its description. If a misdescription is determined before removal of the property, the Government will keep the property and refund any money paid. If a misdescription is determined after removal, the Government will refund any money paid if the purchaser takes the property at his or her expense to a location specified by the Contracting Officer. No refund will be made unless the purchaser submits a written notice to the Contracting Officer within 15 calendar days of the date of removal that the property is misdescribed and maintains the property in the same condition as when removed. After the property has been removed, no refund will be made for shortages of property sold by the "LOT." This warranty is in place of all other guarantees and warranties, expressed or implied. The Government does not warrant the merchantability of the property or its fitness for any use or purpose. The amount of recovery under this provision is limited to the purchase price of the misdescribed property. The purchaser is not entitled to any payment for loss of profit or any other money damages, special, direct, indirect, or consequential. i. DEFAULT: You are cautioned to bid only on those items you are prepared to pay for and remove in accordance with the terms and conditions of the sale. All items awarded to you as the high bidder are contractually yours and must be paid for and removed within the time period specified under the special terms and conditions for each sale. Failure to do so could result in termination of the contract and the bidder may also be subject to paying liquidated damages. It is the responsibility of the bidder to be cognizant of which vehicle they are bidding on. Bidding on the incorrect vehicle does not constitute grounds to be released from the award of that vehicle. Clause Number 9 of the SF 114C has been deleted and replaced with this default clause. This language serves to change the minimum amount for liquidated damages to $325 as stated below: "The purchaser agrees that in the event he fails to pay for the property or remove the same within the prescribed period of time, the government at its election and upon notice of default shall be entitled to retain (or collect) as liquidated damages a sum equal to $325 per instance." In the event the purchaser fails to perform contractual obligations (payment and removal) as specified in this document, the following action applies: The purchaser will automatically be placed in default. "THIS IS YOUR OFFICIAL NOTICE OF DEFAULT". This default must be cured in accordance with the Payment and Removal clauses contained in the sale catalog. Upon the purchaser's failure to cure such default within that period, the purchaser shall lose all right, title, and interest which he or she might otherwise have acquired in and to such property as to which a default has occurred. CONTRACT DISPUTES ACT of 1978 (Pub. Law 95-563) as amended to include the Administrative Dispute Resolution Act (enacted Nov. 15, 1990 (Pub. L. 101-552) applies to this sale. Contracts resulting from this sale are subject to the Contract Disputes Act of 1978, as amended (41 U.S.C. 601-613). Except as provided in the Act, all disputes arising under or relating to the sale shall be resolved under this clause. As used herein, "claim" means a written demand or assertion by one or more parties seeking, as a legal right, the payment of money, adjustment or interpretation of contract terms, or other relief arising under or relating to the contract. A claim must be reduced to writing and submitted to the assigned Contracting Officer for decision. A claim by the Government against the purchaser shall be subject to a decision by the Contracting Officer. j. EXCHANGE SALE: This property is being offered in accordance with the exchange/sale provisions of Section 201 of the Federal Property and Administrative Services Act of 1949 Stat. 384 as amended (40 U.S.C. 481c). k. STATE SALES AND/OR USE TAX: Purchasers of Federal personal property may be subject to payment of State sales and/or use tax. The U.S. Government is not responsible for collection of State taxes. Purchasers may obtain information from a State tax office. Sales and/or use tax officials are permitted to examine records of Federal personal property sales to determine tax liability. l. PUBLIC LAW: In accordance with Public Law No. 104-134, Section 31001, the Debt Collection Act of 1996, Tax Identification Number (TIN) must be provided by anyone conducting business with the Federal Government, from which a debt to the government may arise. Bid(s) will not be considered for award if the TIN is not provided. A TIN is defined as an individual’s Social Security Number (SSN) or a business entity’s Employer Identification Number (EIN). m. PURCHASE OF GOVERNMENT PROPERTY: To the extent not prohibited by the regulations of an executive agency, an employee of such agency (either as a civilian or as a member of the Armed Forces of the United States, including the U.S. Coast Guard on active duty), may be allowed to purchase Government personal property. The term "employee" as used in this statement includes an agent or immediate member of the household of the employee. n. ALTERNATIVE FUEL VEHICLES: These vehicles may have special requirements. Please refer to the owner's manual for specific information or consult with the appropriate manufacturer or dealer. o. RECALLS: Vehicles being sold could have outstanding recalls. Potential buyers should contact the National Highway Traffic Safety Administration at http://www.nhtsa.gov for more information on recall campaigns. Buyers should contact a manufacturer's dealership in their local area that services that brand of vehicle to address any outstanding recalls, or to verify that all recalls that have been addressed are completed.